Oppo has today launched the Oppo F9 Pro and Oppo F9 smartphone in India one of the first phones with the unique teardrop notch. The F9 Pro has been priced at Rs. 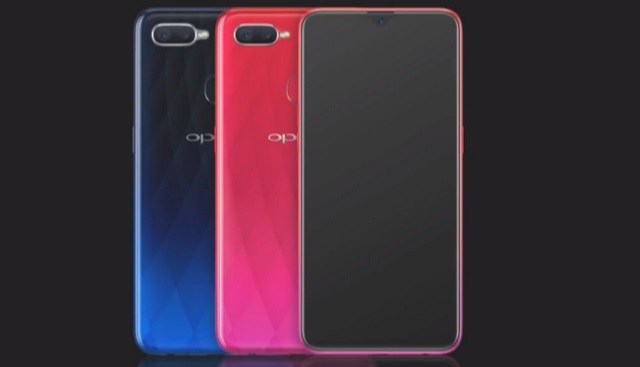 23,990 while the Oppo F9 carries a price tag of Rs. 19,990. Pre-orders for both the devices will kick off today on Flipkart and the sale would begin on August 31 from online and authorized retail outlets across the country. The F9 Pro packs a 6.3-inch Full HD+ display with a 19.5:9 aspect ratio, a screen-to-body ratio of over 90% and that unique minimal notch design. The device boots ColorOS 5.2 based on Android 8.1 Oreo and comes in red, blue and purple, with a subtle gradient effect. The F9 Pro is powered by an octa-core MediaTek Helio P60 SoC coupled with a Mali-G72 MP3 GPU. The F9 Pro features 6GB of RAM and 64GB of internal storage which can be expanded by up to 256GB via a microSD card. It packs a dual rear camera setup which consists of a 16MP primary sensor with f/1.8 aperture and a 2MP secondary sensor. On the front side, there is a 25MP camera with f/2.0 aperture and a ton of AI features such as AI Beautification 2.1, AI portrait mode, Sensor HDR, Vivid Mode for photos and videos, AI-based automatic scene recognition and AR stickers to name a few. The F9 Pro packs a 3,500mAh battery which comes with support for Oppo’s VOOC Flash Charge technology which is claimed to provide a talk time of 2 hours with just 5 minutes of charging. 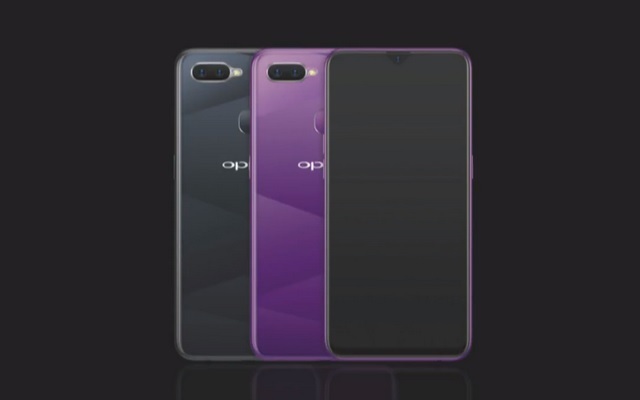 In addition to the F9 Pro, Oppo has also launched a lower-specced variant of the Oppo F9 Pro called the F9, which packs 4GB of RAM and 64GB of internal storage, however, it comes in different color options. The F9’s processor, the camera hardware and the fast charging technology are identical to the F9 Pro. Oppo claims that VOOC Flash Charge is the world’s first low-voltage quick charge technology and is 4 times faster than a conventional 5V/1A charger.